Place the Adafruit_IS31FL3731 library folder your arduinosketchfolder/libraries/ folder. You must update the code before uploading! 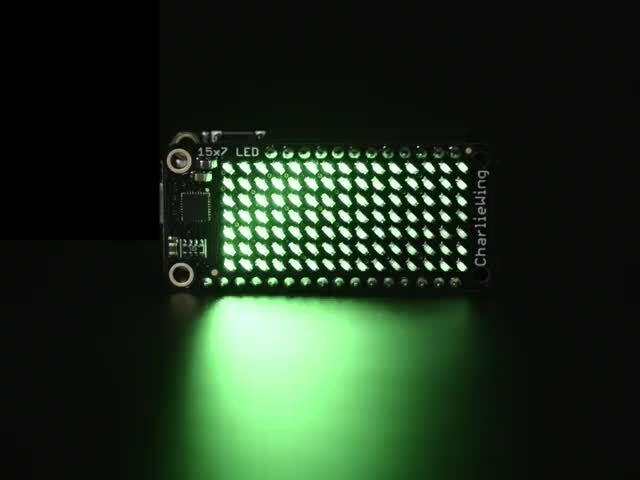 Upload to your Arduino, you'll see the LED display swirl different brightnesses! 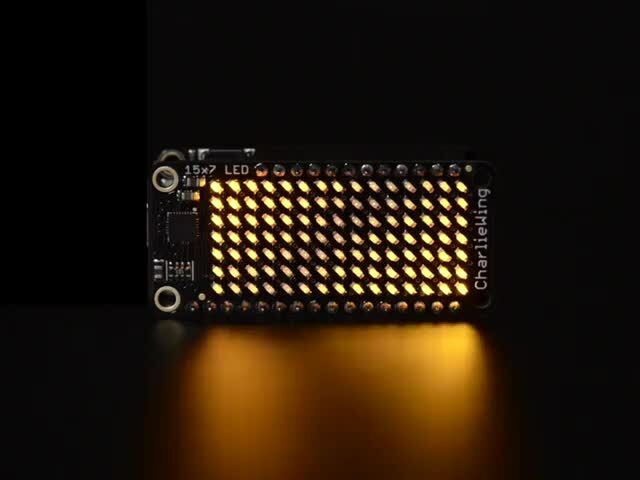 It's easy to use the IS31FL3731 Charlieplex breakout, the Charlieplex FeatherWing, and the CharliePlex Bonnet with Python or CircuitPython and the Adafruit CircuitPython IS31FL3731 module. 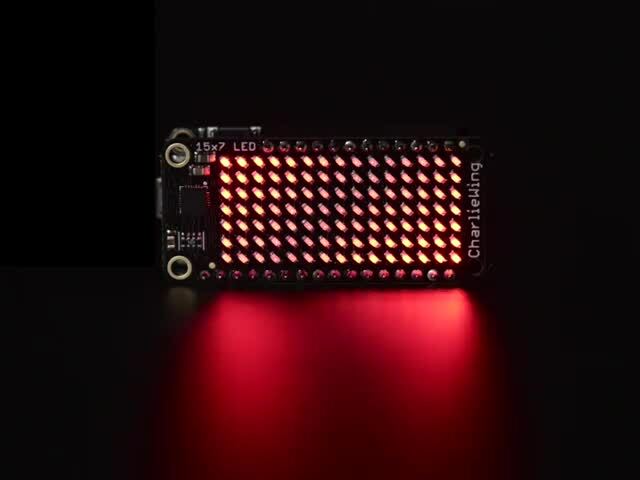 This module allows you to easily write Python code that does all sorts of fun things with the LED matrix. 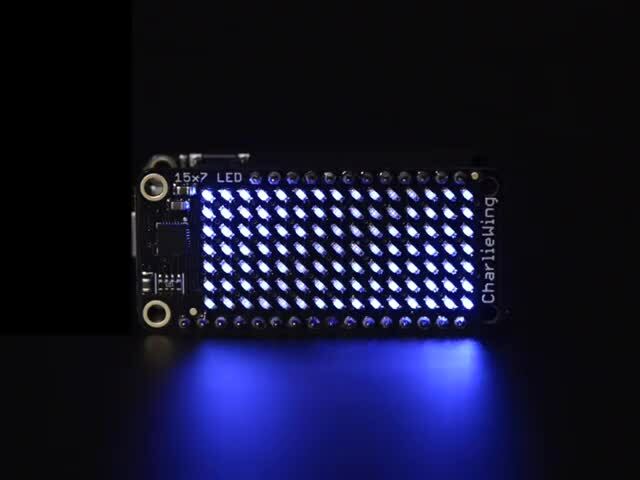 You can use CharliePlex LED matrices with any CircuitPython microcontroller board or with a computer that has GPIO and Python thanks to Adafruit_Blinka, our CircuitPython-for-Python compatibility library. First wire up a IS31FL3731 breakout to your board exactly as shown on the previous pages for Arduino. For the FeatherWing, solder on the headers, and attach to the Feather. 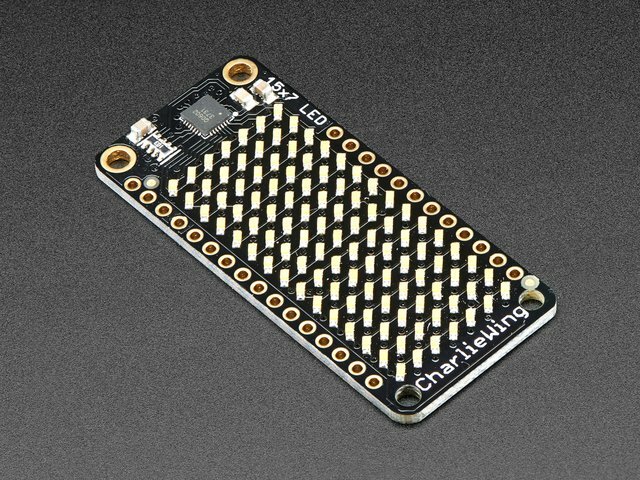 Assemble the CharlieWing by soldering headers onto the board. Once assembled, plug it into a Feather! For the Bonnet, simply attach the Bonnet to your Raspberry Pi header. The CharliePlex Bonnet comes fully assembled. Simply plug it into your Raspberry Pi! You'll need to install the Adafruit CircuitPython IS31FL3731 library on your CircuitPython board. Before continuing make sure your board's lib folder or root filesystem has the adafruit_is31fl3731.mpy, and adafruit_bus_device files and folders copied over. 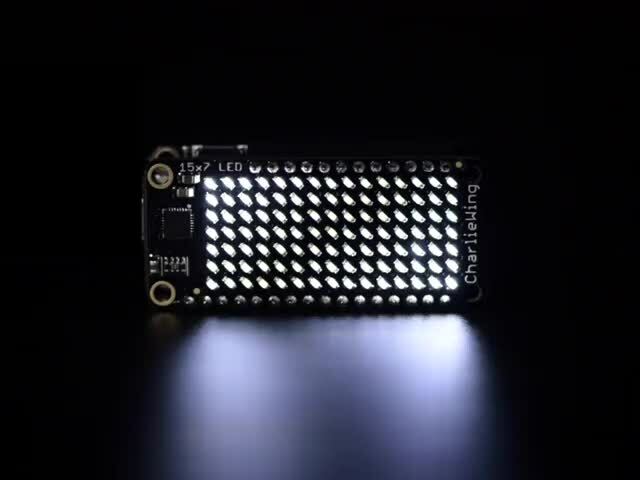 To demonstrate the usage of the sensor we'll initialize it and manipulate the LED matrix from the board's Python REPL. NOTE: Due to size and design of each CharliePlex matrix form-factor, import and initialisation is different for each. Make sure you're running the correct code for your matrix! That's all there is to the basic Charlieplex driver module usage! NOTE: When running this example on Raspberry Pi, you must have the font8x5.bin file found here in the same directory as the program! # now that the frame is filled, show it. This guide was first published on May 20, 2016. It was last updated on May 20, 2016.